Sorry once more for falling behind with my blogging duties! Uni work has reared its ugly head again; probably my own doing through being too busy consuming vast quantities of mince pies, Christmas pudding and chocolates, not forgetting getting a little too merry courtesy of my festive friend, mulled wine (how I've missed you). Aaaaaaanyway. Just before Christmas I visited a little place not far from me called Bentham. It isn't far at all in fact, though admittedly in the opposite direction to which I usually travel. My reason for the short trip was the charity shop there, Sue Ryder Care, which bizarrely I've never had the pleasure of visiting. I say bizarrely because my mum and dad are constantly picking up amazing things there, which recently included two very good quality sheepskin coats for £5 each! (I told my dad that they were in vogue and he got them for me to sell-on; haven't got around to that yet...). So back to the shop itself, it's only a small one, but there's definitely some bargains to be had. The woman there (forgotten her name already, how rude of me) has established a bit of a rapport with my mum so she was very friendly. After a bit of a chat with her about sourcing bargainous vintage, I spotted this rather colourful 80s jumper. What attracted me to the jumper most was the (quite small by 80s standards to be fair) shoulder pads. My shoulders aren't the daintiest to begin with, but I do love a bit of power dressing! Electric blue also happens to be one of my favourite colours; though I mainly buy black so find it hard to pair with my existing outfits- cue pattern incorporating a bit of the black stuff, perfect! After Bentham, my mum and I continued on to Kirkby Lonsdale, where she needed to pick up some things. 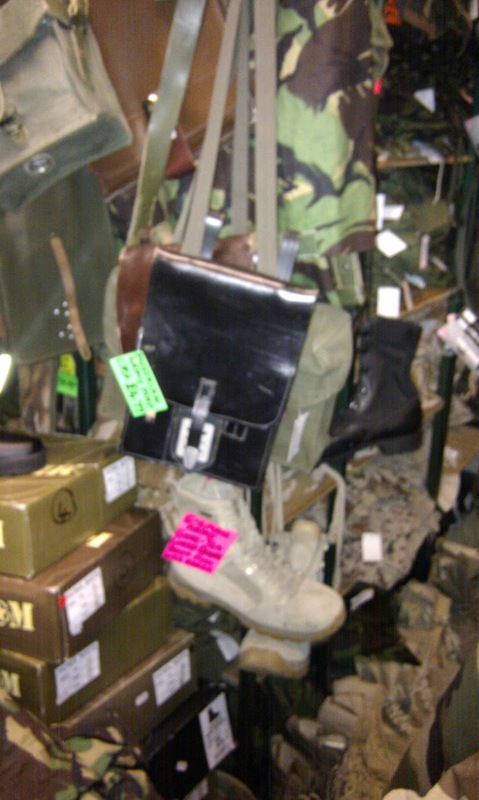 We called in at the Army surplus (I think) shop. It was interesting actually; quite a bit of old army gear. 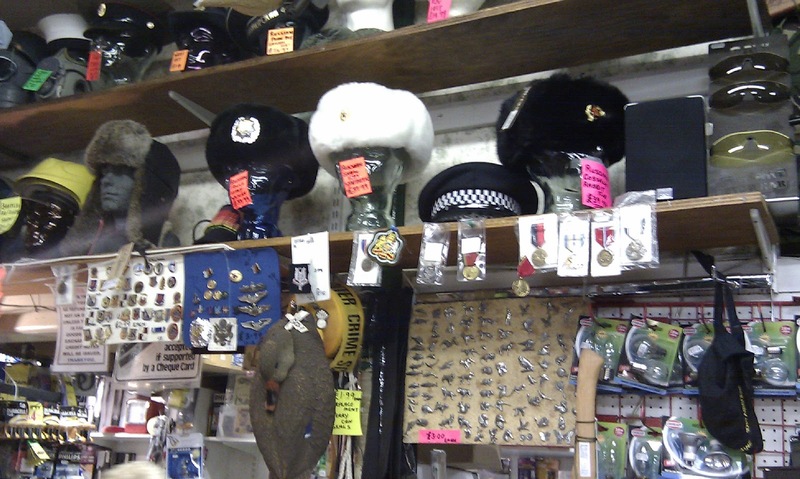 These cossack-style fur hats were amazing! Though £40 a go and real fur apparently! Amazing what you find in the weirdest places! 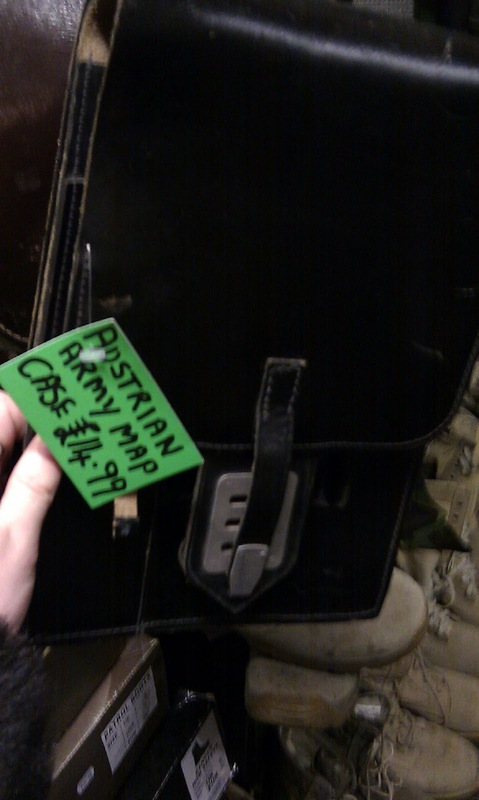 You'll be pleased to know that I had a successful bout of charity shopping today- post to come! I also haven't really had any outfit shots as 1. I haven't got a tripod, 2. I haven't really mastered the self-timer function on my camera even if I could balance it on a wonky stack of various items and 3. There's no-one to really take pictures for me. I don't really like having my picture taken, but I don't mind my fella taking them too much; though I went and met him at bloody university didn't I, so whilst not there we practically live at opposite ends of the country! Pfft. I'll attempt a dressing-up session perhaps when I go back to uni next week; can't have my new camera going to waste can I?! Happy New Year! I haven't been chazzing for over five weeks so I'm loving this post as I get my fix without spending any cash. Haha I'm sure you'll get straight back into it Vix! I removed some from a massive mohair jumper I bought a few weeks ago, but think I'm going to try and pull these off! Thanks :) Yeah I love coming back up north and visiting the ones in my area, usually more luck here than the ones I tend to visit in Birmingham- making it my New Year's resolution to venture a bit further out for them this year! 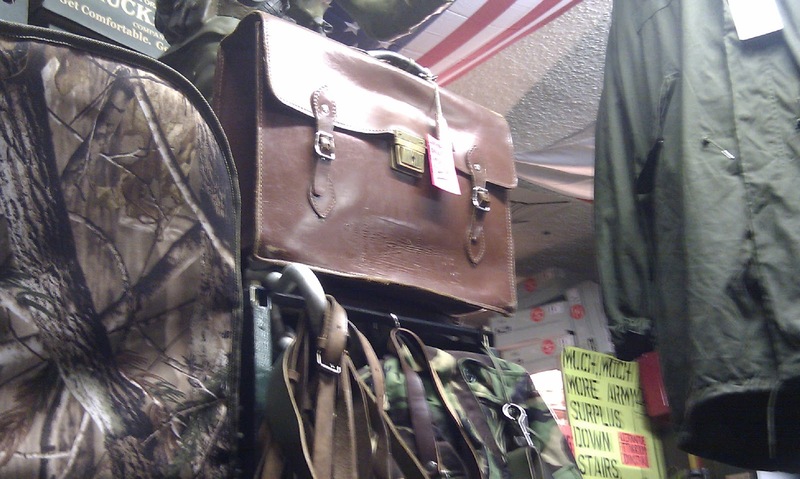 I love army surplus stores. They only went and closed our local one, totally raging! !